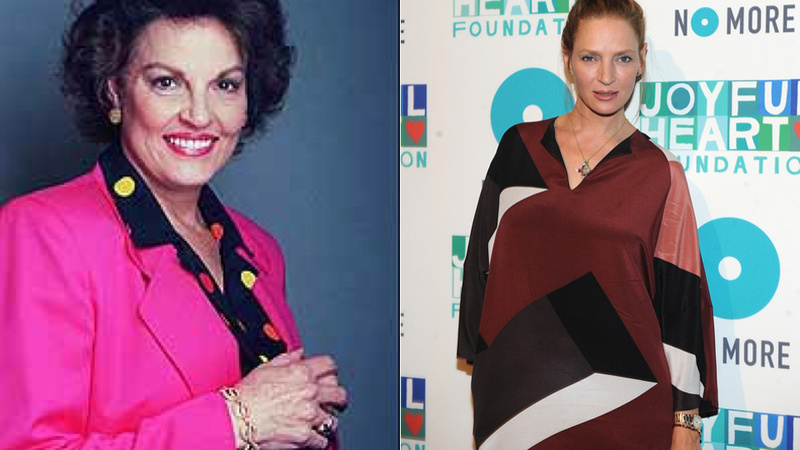 Uma Thurman is onboard to play Anita Bryant in a biopic of the very troubled and very hateful woman. I love you, Uma, but I'm gonna have to throw oranges at the screen — you know that, right? The film follows Bryant, a former celebrity singer and orange juice spokeswoman, who, when she allows a gay screenwriter into her home, is forced to confront her past as an anti-gay Christian crusader who successfully campaigned to overturn a gay rights law in Florida and destroyed her show biz career in the process. Remarking on his encounter Hodge says, "We talked about everything... Religion, homosexuality, her life and every detail of her life. I mean, everything! She really opened up to me. It started very standoffish... but then it slowly took a turn and she opened up and cried to me... Turns out she wants a gay best friend just like everyone else." George Clooney to play Liberace in a biopic?